Saturday, 8pm EST or Sunday 1am GMT if you're here with us in fair blighty (or 7.30pm/00.30am if you want to see Charly and Nigel do much the same job as I'm doing for free here) NXT hits the ol' Windy Apple, my kind of town, Chicago for the latest Takeover special. 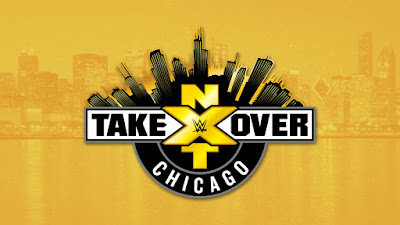 Just in case you don't watch NXT on a weekly basis and/or WWE don't provide us nice high quality packages before the matches to explain context for them and why you should be watching, we here at ATPW thought you might like to know what you have to look forward to. If you're actually going to be in Chicago for the biggest wrestling show of the weekend, not called Backlash, you can also look forward to announced matches involving Drew McIntyre, Wesley Blake and Aleister Black taped before the main show. Regardless of where you're watching from, look forward to hearing repeated clips from the latest, and possibly greatest single, 'Judas' from Chis Jericho's band Fozzy. Also another song by something called 'Hacktivist'. It seems appropriate with the current partnership between NOAH and Impact, that an NXT Main Event should be Itami vs Roode. 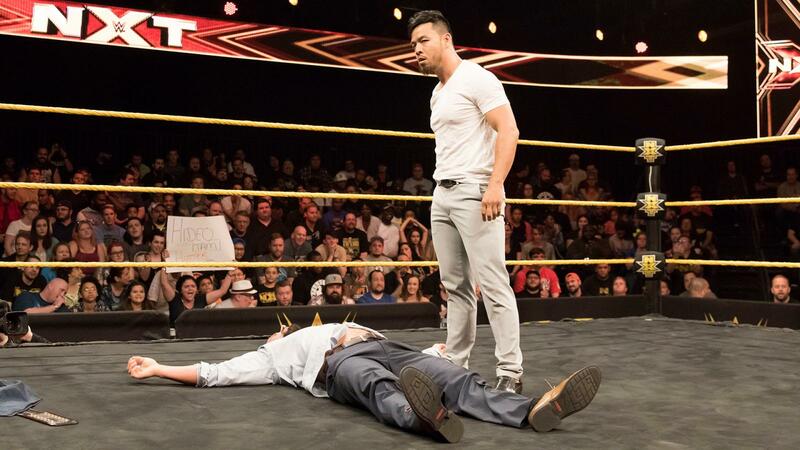 It's been a long time coming for Itami, the man it was reported was to have won the title back in 2015 from Kevin Owens at Beast in the East but regardless of injury stalling his ascent, he's here now. Though Roode won't be easy to dethrone as he's already taken out Shinsuke Nakamura, twice, an achievement that was beyond even Samoa Joe. I would expect this match to take a similar format to Okada v Omega and Asuka v Moon as it all seems to come down to if Itami can hit his killer move, in this case his innovated Go To Sleep Fireman's Carry High Knee. Avoiding this instance, expect to see Roode do a lot of heel wriggling out of situations and targetting that still scarred shoulder that's caused Itami so much trouble. Finally, expect Roode's entrance to be the most ridiculous thing. Though the standard booking would suggest Roode retains as Itami has been on top for their entire feud, I think there's a chance that as it's taken so long for them to get Itami healthily to the main event, they might go down the no time like the present. Regardless of who leaves champion, there is a multitude of other challengers waiting include Kassius Ohno, Aleister Black, Roderick Strong, Drew McIntyre, Patrick 'The Velveteen Dream' Clark and in what ties into my theories for the Tag and Women's Title changes, Eric Young. Yes, that's right, I think we could be seeing a stable holding all the gold very soon. Then again, I predicted a Sami Zayn win at the Andre the Giant Memorial Battle Royal earlier this year and how would that even work? He's not a giant. 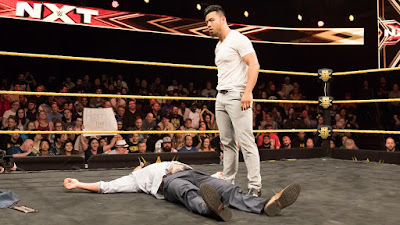 In what many are now calling the battle of Strong Vs Stable (at least if they weren't they should now), it seems that Strong has managed to graduate from part of a group of people helping Tye Dillinger against SaNItY to being the Tye Dillinger. 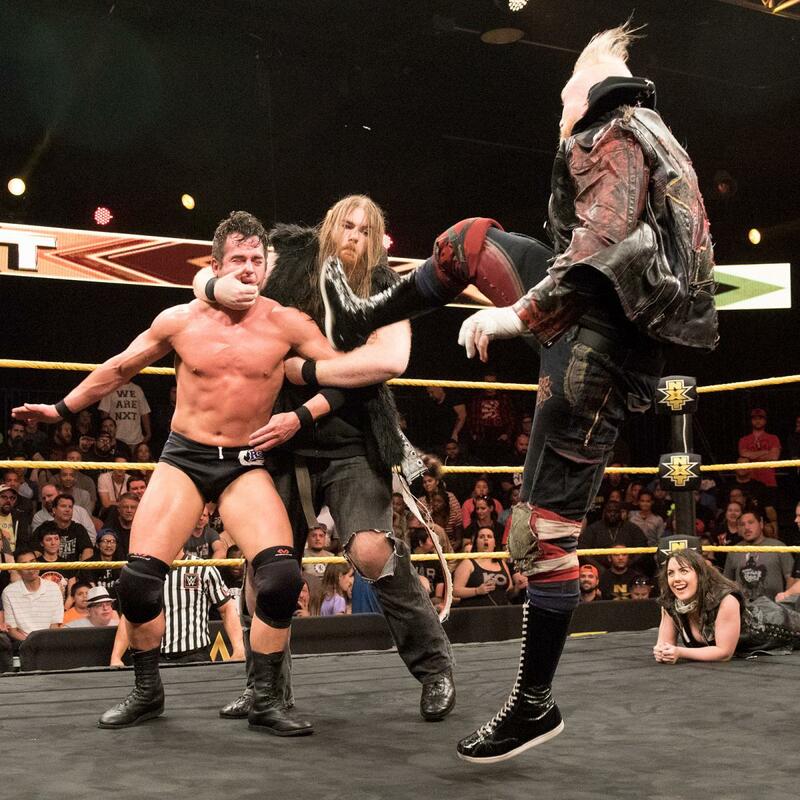 Strong had just come off a loss to Itami when Eric Young, Alexande Wolfe and Killian Dain would rush the ring and attack him. This would, of course, lead to Roderick Strong accepting a match against Young because when you've spent months losing when the odds are equal, you're going to beat them when you weight the odds back out of your favour. That's just pure logic. Anyway, my cynicism aside, this could be an excellent match with both guys having a nice combination of technical ability and power moves, as well as being able to capitalise on the major momentum shift towards Strong after the recent mini-doc feature on him on NXT. It's hard to say who it makes more sense to give the win to as both men are coming off big losses and even if Young wins, there's no way it's without shenanigans, if Strong wins, it makes all three men look silly. Still, could be fun, let's just hope that both men can move onto something more meaningful after. This being Across the Pond Wrestling, me being from the Midlands, I could be biased but believe me when I say this one could be the show-stealer. With the use of a UK band as one of the two themes for the show and confirmation that Jim Ross will be joining the booth for this match and this match only lending it an extra credibility and commitment from WWE's part to keep eyes on the UK prize. This is a story that extends beyond just January's United Kingdom Championship Tournament and through the annals of recent Brit Wres. history as Duley's Tyler Bate & Birmingham's Pete Dunne have competed with each other almost as, if not just as, frequently as Dunne & Mandrews. 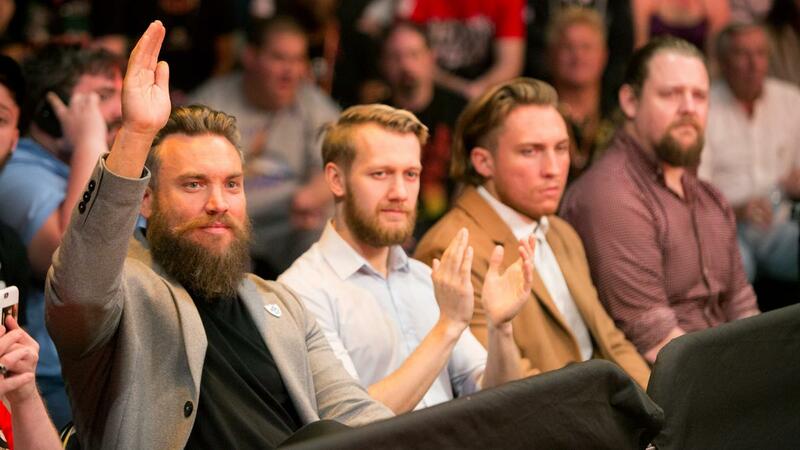 Throw in that they have been playing up animosity between Bate & Dunne in UK Indies like Progress, where the British Strong Style stable (along with Trent Seven) have been running roughshod over an entire company since November last year. If anything, the only thing working against this match is that many may view it as something of the 'midcard' title for NXT and as a result, not give them enough time to build a satisfying competition. I have no doubts that after their superb confrontation in the UKCT finals, this will be another excellent match. My gut tells me that The Bruiserweight is taking home the title in this one. Dunne is rightly considered one of the finest wrestlers and performers in the UK but also it would help play into his character traits of feeling he's only using the UK scene to get a foot into the US or Japan. Equally, watching Regal have to deal with Dunne further would create for some excellent television as we al know how much money there is in heels getting on Regal's last nerve. Who knows, maybe we could get one last match out of Regal against Dunne? Can that happen? Please?